In addition to the St Paul’s building itself, and its schoolroom in Sydney Street, the parish was also responsible for a number of other buildings. This was the result of the parish being such a substantial size and undergoing a huge population growth in the late 19th century. Although they were a real asset to the church and the wider community, maintenance of them was a major part of the work of the parish. Many fundraising efforts were made, particularly by the women of the parish, who raised substantial amounts of money to fund the rents, repair and maintenance of these buildings, as well as the church itself, over many decades. 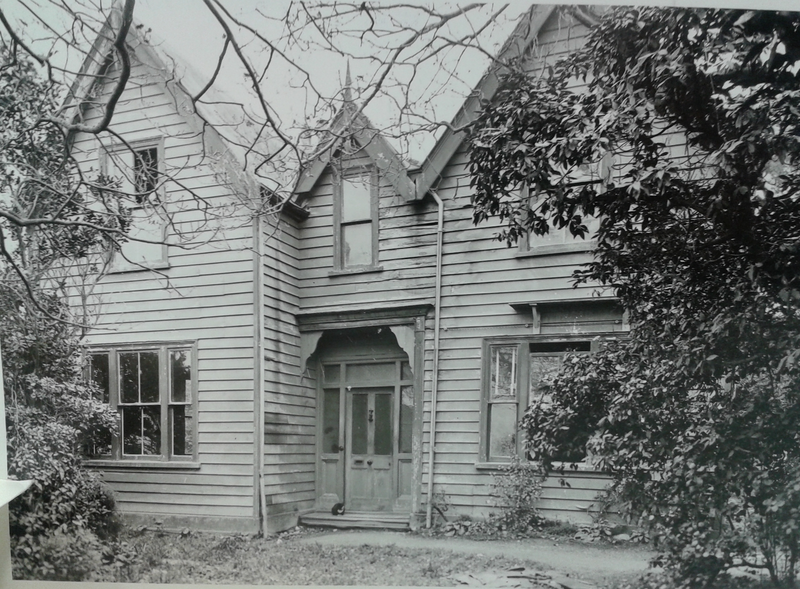 The parish opened a new Sunday School and church room building in Tinakori Road in 1879 (pictured below). It became a fundamental part of the parish and as well as housing a large Sunday School was a place of social gatherings, Sunday evening church services and meetings for many decades. Part 2 of a 3 part panorama looking over Thorndon, Wellington, and towards the harbour, taken in 1913 by Sydney Charles Smith. The building was previously the Presbyterian St Andrew’s Church, and had been moved to this location from Lambton Quay. For many years the women of St Paul’s did substantial fundraising work to keep the building open. It was later used as the St Paul’s Scout and Guide Hall, and in 1935 was badly damaged by fire. The parish also maintained a church room in Wadestown, where Sunday services and Sunday School classes were held. The church room, opened in 1881, was built on land donated by S J Woodward. Wadestown remained within St Paul’s parish until 1904, until parish boundary changes meant that Wadestown seperated from St Paul’s. The parish also maintained a vicarage on Bolton Street – built in 1867, and pulled down in 1930 (just before the image above was taken). It was used by Rev.s Maxwell, Ewald, Harvey, Still and Sprott and their families. The second vicarage in Bolton Street, built in the garden of the above, was used until the 1950s; it was then rented out to others. Next Next post: Where is the foundation stone?